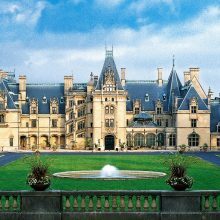 As part of our on-going work with the Biltmore Estate, we were contracted to conserve the Rosso di Verona marble wellhead located at the entrance to the mansion. 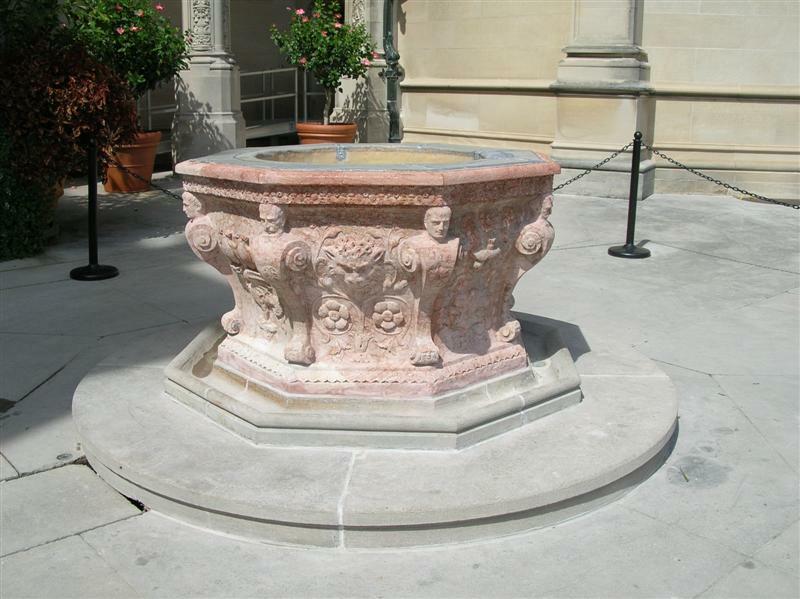 The Venetian Renaissance work incorporates a lead liner within the carved stone structure. 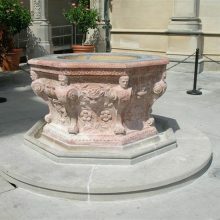 It is typical of the elegant decorative structures that once enclosed fountains in town centers and villas throughout the Veneto. 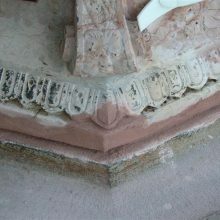 This example is enlivened with lions heads and floral bas-relief carvings on the faces and bracketed herms at the eight corners. 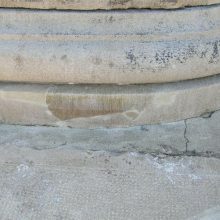 The wellhead exhibited typical deterioration associated with outdoor masonry artifacts. 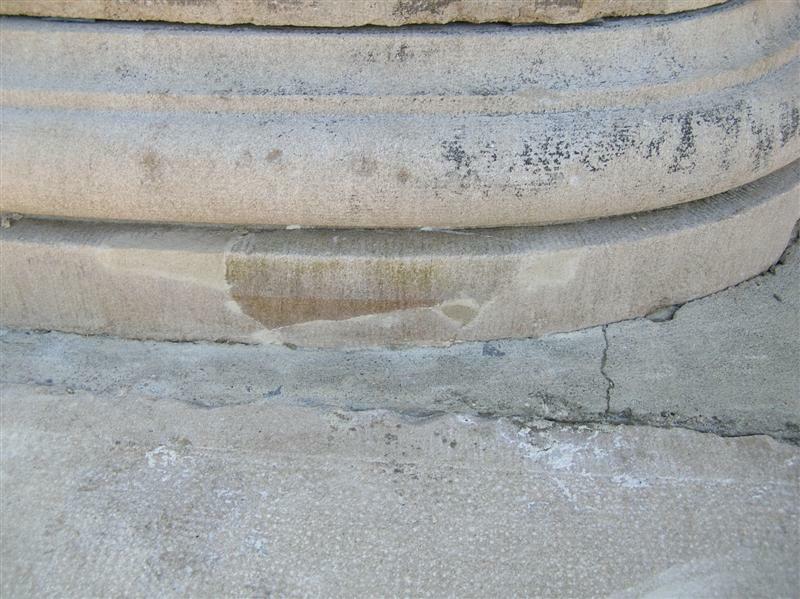 Failed mortar joints allowed water to enter the sculpture causing damage from freeze/thaw cycling. 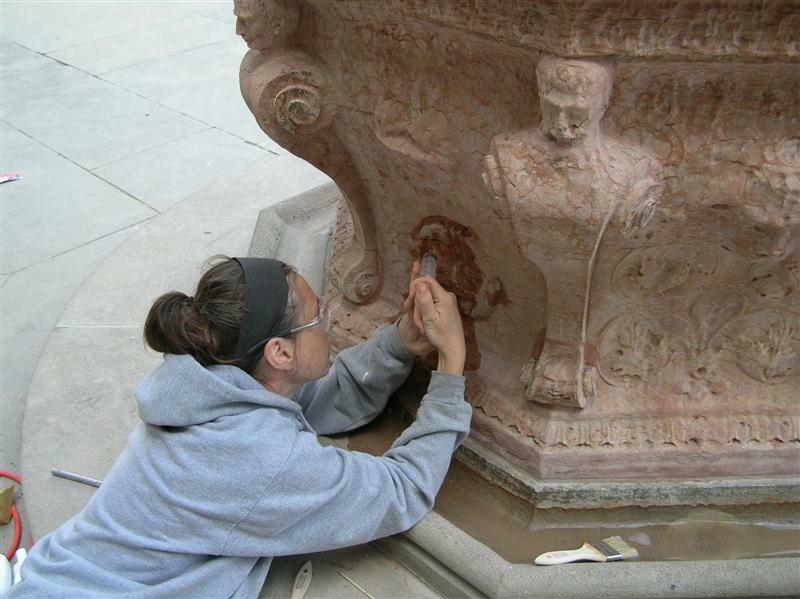 Early repairs had failed leaving losses and additional locations where water could enter the sculpture. 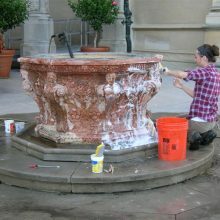 The solder joints had also failed inside the basin. 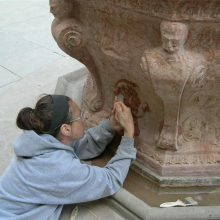 Biological growth, lime scaling, and general soiling hid the beautiful carvings on the faces. 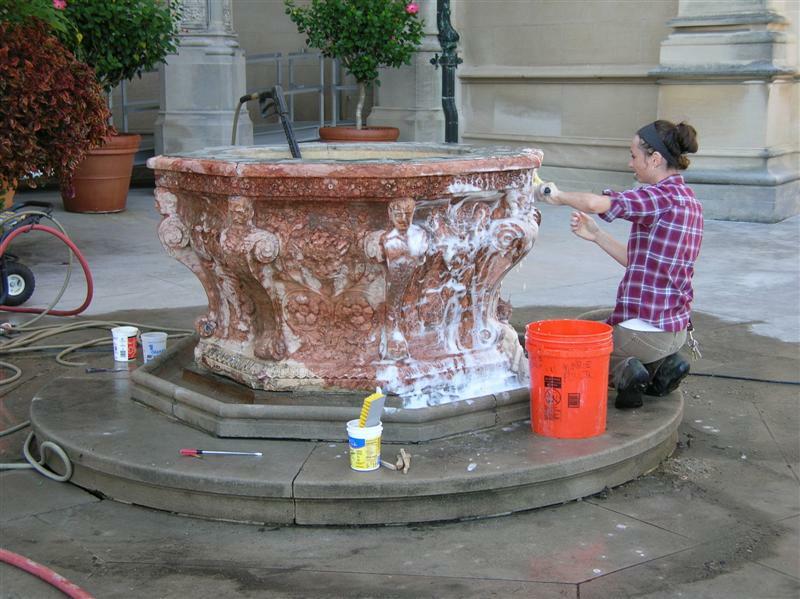 Our conservators worked with the Biltmore Estate’s conservation staff and specialty sub-contractors to clean and restore the wellhead. Failed mortar and fills were removed. All surfaces were cleaned using appropriate detergents and biocides. Biological growths were also removed by careful picking with wooden skewers. The lead liner was cleaned and re-soldered. 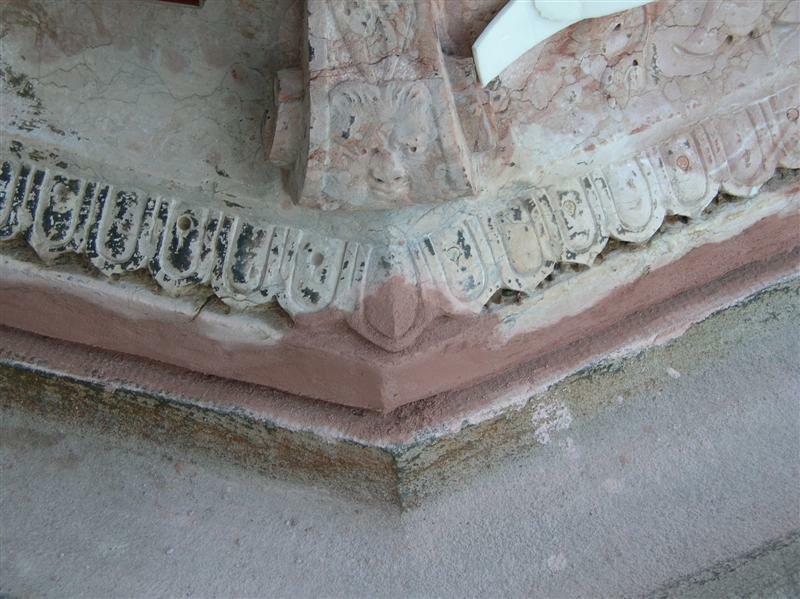 Failed fills were repaired with custom color-matched mortar and all joints were repointed. 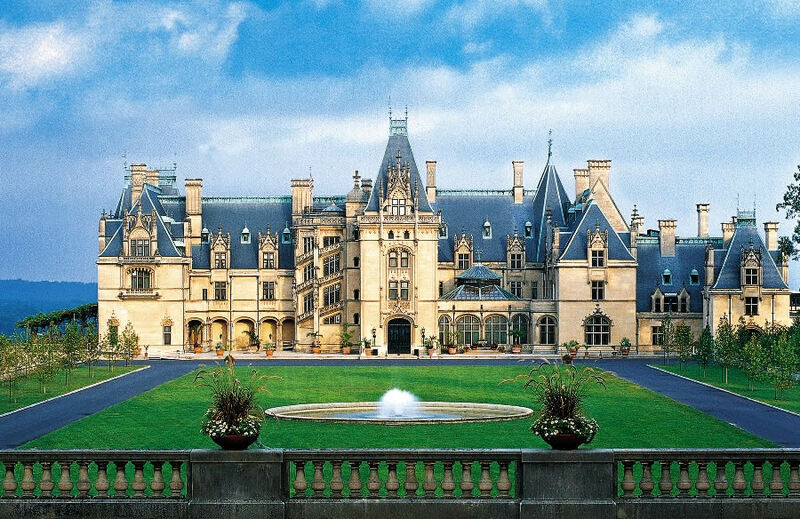 A follow up conservation treatment plan was developed for implementation by the Estate’s staff.